pet product reviews, pet training, pet health, pet nutrition and all things pet! So the other day was my sister Maggie’s birthday. She turned 5 years old! Some day I’m gonna catch up – I think! WOOF! Anyway, it was a special day. My Lady was gonna make us some of her famous homemade dog treats, but we talked her into Doggie Pupcakes with Peanut Butter and Banana! Yep! You read that right! Doggie Pupcakes are us pups version of your humanz cupcakes. 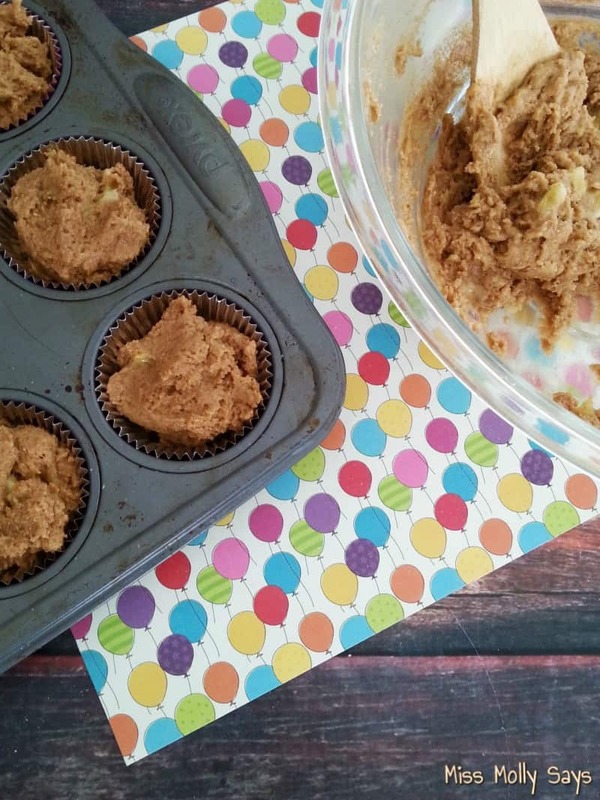 Doggie Pupcakes are made with peanut butter and banana and they even have icin’! WOOF! That’s some WOOFALICIOUS eatin’ right there! Before you get to excited, the icin’ ain’t full of sugar like you humanz use. 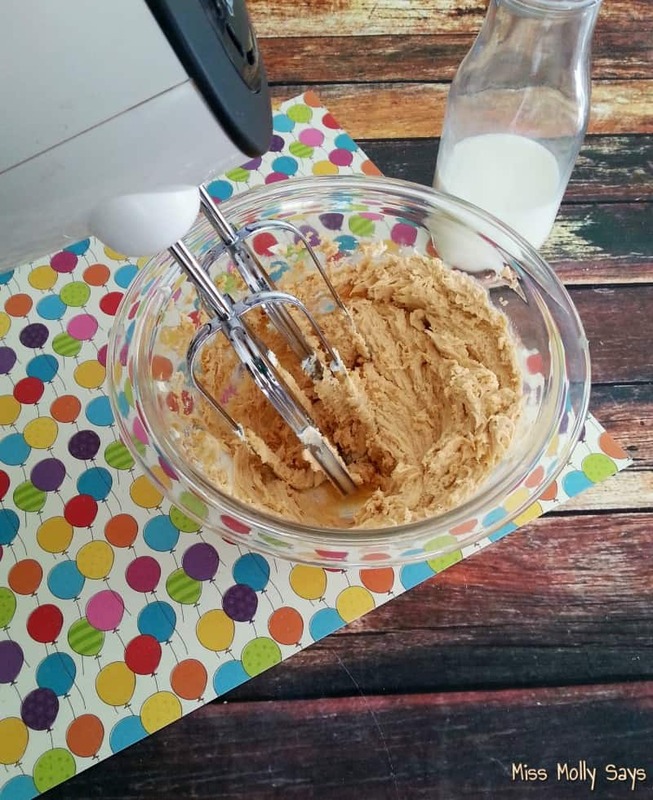 It is made from some tasty Neufchatel cheese and more creamy peanut butter. But, for us pups it sure makes our mouth water! 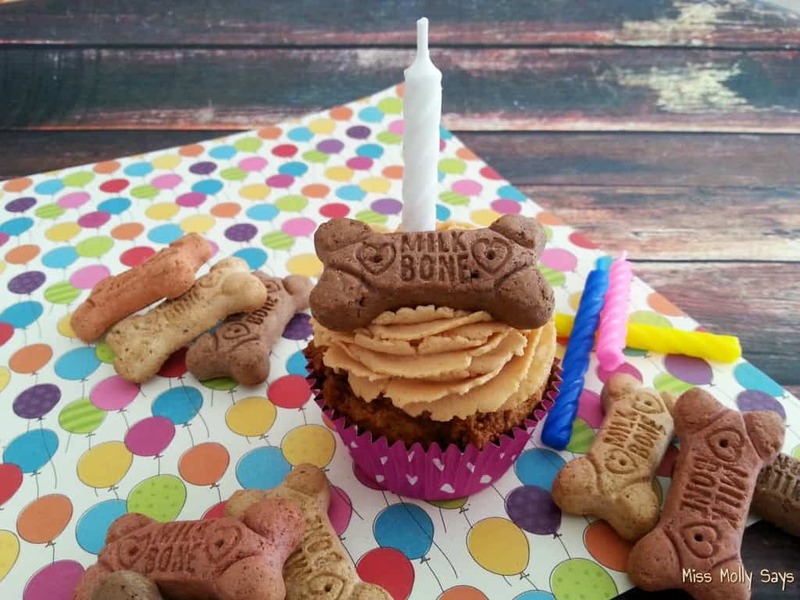 I just know your pups would love a Doggie Pupcake too! Tell your human that Miss Molly said they are easy to make WOOF! Line your tin with cupcake liners. 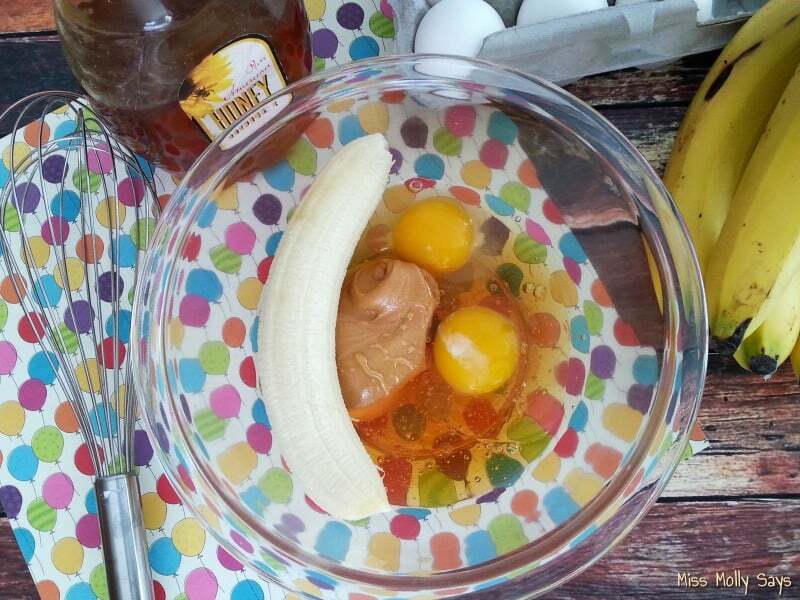 In a bowl, combine peanut butter, oil, bananas, honey and eggs. Mix until smooth. 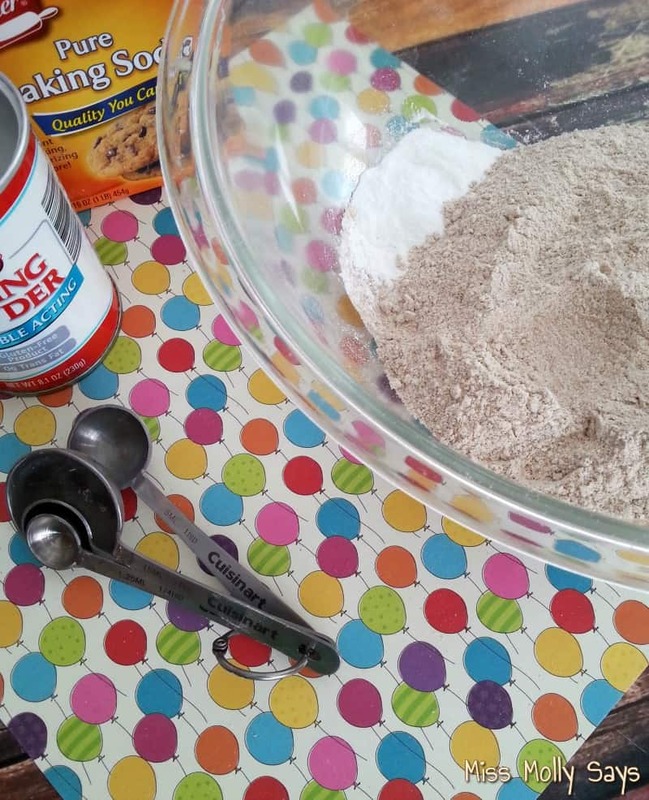 In another bowl combine flour, baking soda and baking powder. 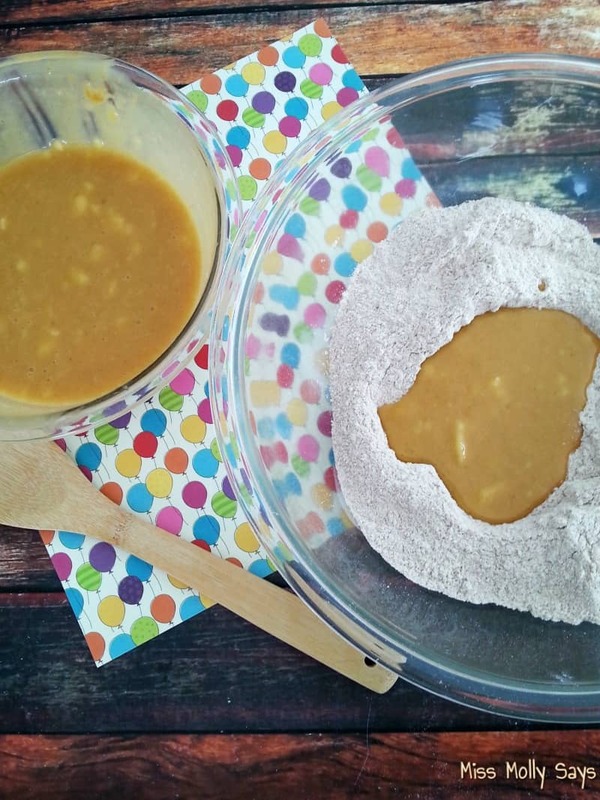 Gradually add the wet ingredients to the dry ingredients, stirring as you go until all ingredients are well combined. Spoon mixture into cupcake liners. Fill about 2/3 full. While cupcakes are baking you can make your frosting. 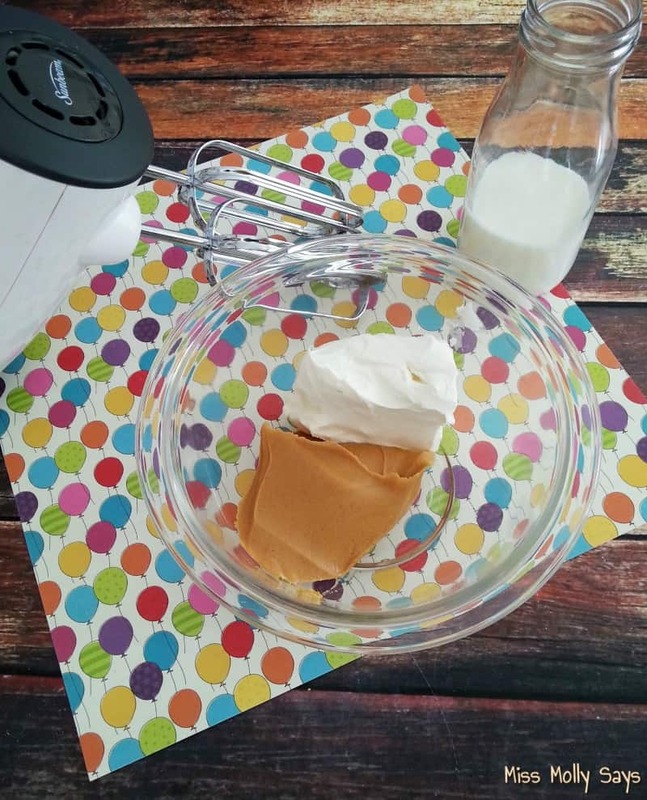 Using an electric mixer beat the Neufchatel cheese and peanut butter for about 10 seconds. Add in your milk and beat until it’s a creamy consistency (not runny). Once your pupcakes have cooled, spread or pipe the frosting on top. 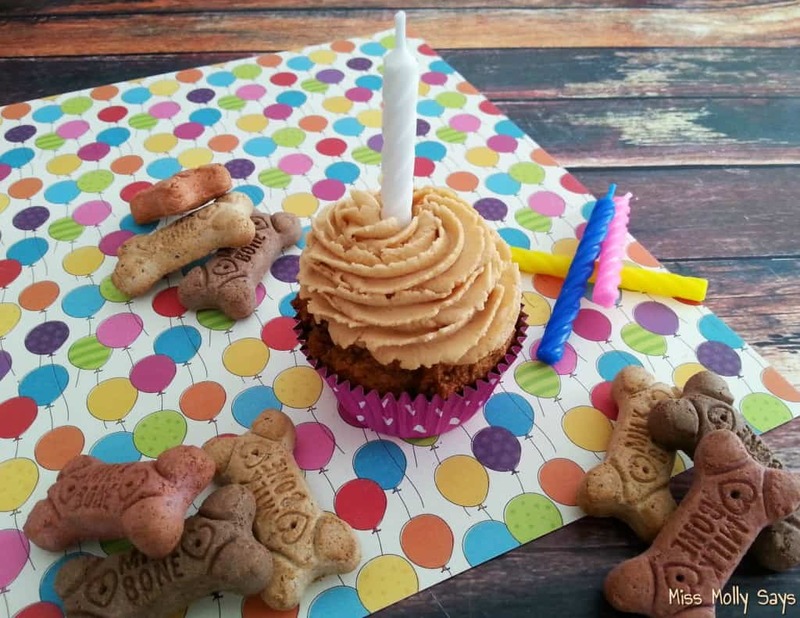 If it is an extra special occasion, you can even add in a Milkbone! Let your pup enjoy! Maggie enjoyed her Doggie Pupcake and a day outside in the sun for her birthday! Spoon mixture into cupcake liners. Fill about ⅔ full. Add in your milk and beat until it's a creamy consistency (not runny). Aww! Happy birthday! The treats look wonderful! How many pupcakes does this make? It makes 15-18. Sorry I should have included this. My dogs will love this! They love peanut butter! Can’t wait to make it! Happy Belated Birthday! What a cute idea! These are so doggone cute! 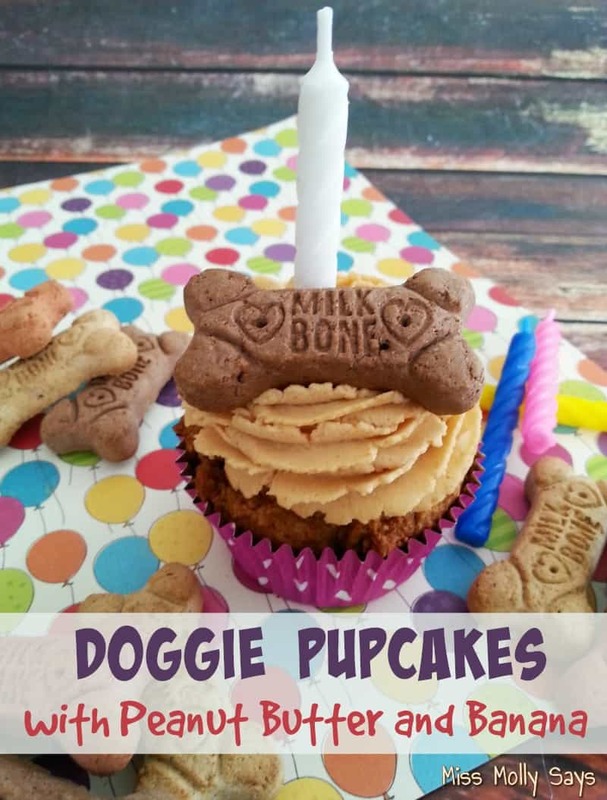 I never heard of pupcakes before! Wow, that’s a heck of a nice recipe! OMG pups cannot get enough of these!!! Even made them for a bake sale and sold out!! These look amazing will have to make for my pups! thank you for sharing! I made these with a substitution! I used unsweetened applesauce instead of oil. They were very moist and the puppies loved them! Even a very picky one ate hers! Two other things I will do differently next time, 1. freeze the extra pupcakes and 2. Don’t frost them until right before serving. The frosting dried out really quickly. I had them covered and the frosting dried out over night. I love the pictures. I’m almost out of the last batch of treats. I’m going to incorporate some of these flavors into the next batch. What is the shelf life ? Does the frosting harden? How cute for a pup, a cupcake!! Get the latest tales and wags delivered to your inbox! Sign up today for FREE! 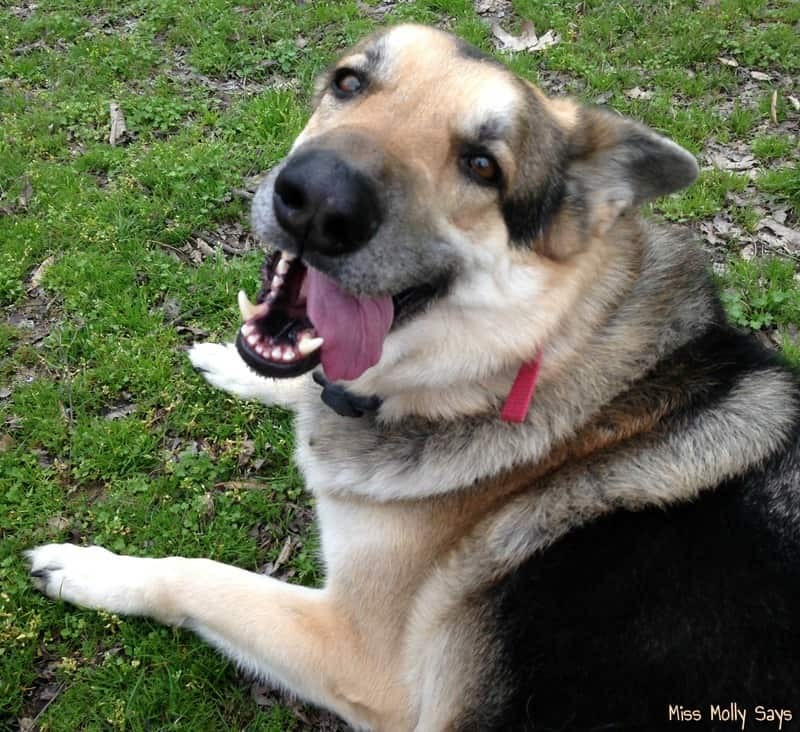 Miss Molly’s Homemade Dog Treat Recipes! We’re Part of These Packs! All Content and Images are Copyright© Miss Molly Says. - View our Disclosure and Privacy Policies. - Custom Design by CEO of Me.